Pharyngitis, more commonly known as a sore throat, is typically caused by viral infections such as the cold or flu. Symptoms include a scratchy, irritated throat with soreness that grows worse when swallowing. In severe cases, a sore throat may be caused by an infection such as streptococcal (strep throat) or mononucleosis. Most sore throats are caused by a common cold, influenza or the mononucleosis virus. Other causes include allergies and bacterial infections such as an upper respiratory infection or strep. A sore throat caused by a viral infection requires no medical treatment unless it lasts longer than a few days. 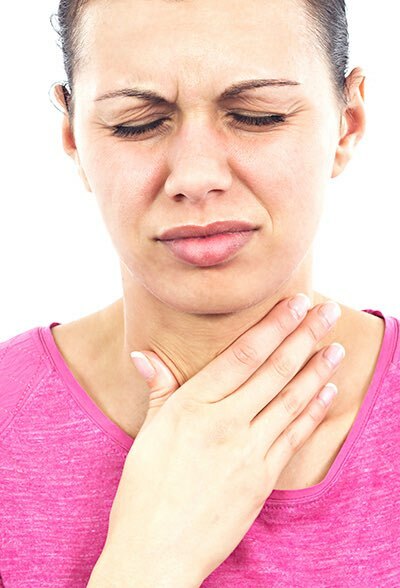 A persistent or worsening sore throat may be caused by a bacterial infection and may require treatment with antibiotics. 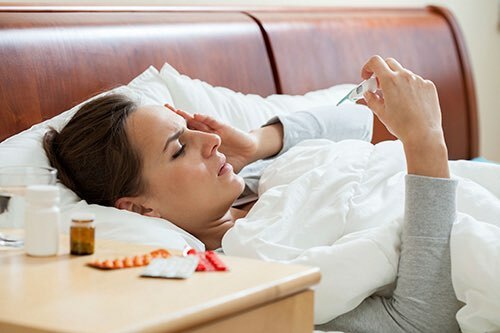 In cases of strep, a penicillin type medication or another antibiotic, is usually prescribed for a period of 7-10 days. It’s important to take the full dose for the appropriate period of time even if symptoms diminish or completely go away. Failure to take all medication as prescribed can result in a worsening or spreading of the infection. This is particularly dangerous in children where strep poses a risk of rheumatic fever. Strep throat, which is caused by a bacterial infection, can become serious if left untreated. It is also highly contagious. If you suspect a sore throat may be due to a strep infection, it is important to see a doctor for immediate treatment. If you or your child experiences several or more of these symptoms, it’s important to get a diagnosis from your doctor to determine the cause. A rapid strep test may be performed, but is not always needed to start treatment. Since this test isn’t conclusive, your doctor may also consider performing a throat culture, especially if there is recurrence. The culture will take several days to evaluate, so antibiotics may be prescribed as a precaution. Depending on the circumstances, your doctor may also test for additional infections such as mononucleosis. Strep throat is caused by bacteria called streptococcus pyogenes, typically referred to as group A streptococcus. Highly contagious, strep spreads when someone with the infection sneezes or coughs, or when someone touches a contaminated surface and then transfers the bacteria through the eyes, nose or mouth. In preparation for your visit to MD Now, please note any symptoms, their duration and any possible sources of infection. You should also be prepared to provide key medical information, such as pre-existing health problems and any current medications you’re taking. Your doctor will examine you for signs and symptoms of strep throat, including fever and enlarged lymph nodes. Your throat and tonsils will be closely examined using a tongue depressor to check for redness, swelling, white patches and pus. The presence of tiny red spots at the back of the roof of your mouth usually indicates an infection is present, whether viral or bacterial. Throat Culture – During this procedure, a sterile swab will be rubbed over the back of the throat and tonsils in order to collect sample secretions. Other than a gagging response in some patients, this is generally causes little discomfort. The collected sample will be cultured in a laboratory for up to three days to determine whether bacteria are present. Rapid Strep Antigen Test – If a throat culture isn’t possible due lack of availability, or if a more immediate result is required, your doctor may order a rapid antigen test. If the test proves positive for strep bacteria, antibiotics for strep throat will be prescribed. While this test can detect strep bacteria in minutes, it is not as reliable (with many false negatives) as a throat culture and may not catch certain strep infections, so if Strep is highly suspected they may decide not to perform this test and just treat. This is why many doctors use throat cultures to verify the results, especially in children where strep can lead to more serious complications. Strep throat is typically treated using antibiotics such as penicillin, Amoxicillin, Azithromycin and others. These medications help relieve symptoms and prevent the bacteria from spreading, either within the patient or to others. Symptoms should improve within a day or two of the initial dose of medication. If no improvement takes place after two days, contact your MD Now physician. If a sore throat is simply the result of a cold, it will usually improve or go away within one to two days. Sometimes it will be followed by additional cold symptoms such as congestion and/or a runny nose. If a sore throat is severe and persistent, lasting longer than two days, it may be due to the streptococcus bacteria or tonsillitis. Cases of tonsillitis will affect the tonsils, the tissue located in the back and on either side of the throat. Sometimes tonsillitis is caused by a bacterial infection such as strep. Identifying strep is important as it may lead to more serious problems like rheumatic fever, resulting in sore, inflamed joints. Strep can also cause a rash and may eventually damage the heart valves. If you suspect you may have strep, contact your MD Now physician immediately for diagnosis. If symptoms worsen or show no sign of improvement, or if the patient is diabetic or immunosuppressed, please seek immediate medical attention. For repeated tonsillitis infections, or if the tonsils interfere with sleep and breathing, your MD Now doctor may recommend an elective surgery (a tonsillectomy) to remove the tonsils.